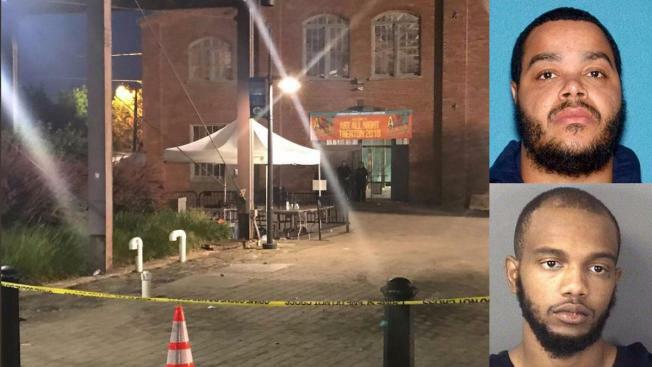 In the wake of a shootout at an all-night arts festival that left a 13-year-old and 21 others hurt and one of the suspected shooters dead, schools in New Jersey’s capital city are taking security measures, including rescheduling some move-up ceremonies. Shelter-in-place measures were put in place at all Trenton public schools Monday and will remain in place until further notice, Superintendent Fred McDowell said in a letter sent to public school families. “All schools will adhere closely to the safety protocols currently in place and will be implementing a shelter-in-place, which means that only staff and students required to be in the buildings will be permitted to enter,” McDowell said. The shelter-in-place declaration caused the cancellation of some graduation and move-up ceremonies Monday, the district said. Those ceremonies and any others canceled in the upcoming days will be rescheduled. It's up to principals to make decisions for their own schools, the district said. About 11,100 students attend Trenton public schools, according to the state’s department of education. The shooting, where police also opened fire continued to be investigated Monday. The chaos broke out at the Art All Night festival in Trenton around 2:45 a.m. Sunday. A barrage of bullets flew into a large crowd, sending attendees stampeding and leaving 22 people, including a 13-year-old boy, injured and one suspect dead, authorities said.